Administrative Law Judge (ALJ) Adeniyi A. Ayoade, Office of Administrative Hearings (OAH), State of California, heard this matter in San Pablo, California, on September 30, October 1, 2, 3, 7, 8, 9, 10, 14, 15, 16, and 21, 2013. Frances S. Kaminer, Attorney at Law, appeared on behalf of Student’s parents (Parents). Student’s mother (Mother) appeared and was present on all days of hearing. Shawn Olson Brown, Attorney at Law, represented the West Contra Costa Unified School District (District). District’s SELPA Director, Mr. Stephen Collins, and District’s Director of Special Education, Ms. Ora Anderson, attended the hearing interchangeably as District’s representatives at the hearing. 1 In addition, there in evidence presented at the hearing that each party did not, or have the opportunity, to respond to. On March 27, 2013, Parents filed a complaint naming District (Student’s Case) designated as OAH Case No. 2013031004. On April 9, 2013, District filed its first complaint naming Student (District’s First Case), designated as OAH Case No. 2013040364. On May 7, 2013, Student submitted his first request to amend his case. On May 9, 2013, OAH granted Student’s request to amend his case, and consolidated Student’s Case with District First Case pursuant to District’s request. In allowing the amendment, OAH deemed Student’s Case filed on May 9, 2013. On June 14, 2013, Student filed a second request to amend its complaint, which was granted on June 24, 2013. On June 17, 2013, District filed a second complaint naming Student (District’s Second Case). District’s Second Case was designated as OAH Case No. 2013060755. On June 29, 2013, OAH consolidated all the three cases and designated Student’s Case as the case governing the decision timeline for the consolidated matters. 2 To maintain a clear record, Student’s closing brief and the “Notice of Errata” to the closing briefs were marked as Exhibit “S-47” and “S-47A.” District’s closing brief was marked as Exhibit „D-31”. While Student’s closing brief and Notice of Errata were filed untimely, they have being accepted and included with the record for completeness. Both parties’ closing briefs were considered. 3 These issues are as framed in the September 23, 2013 Order Following PHC, and as clarified in “Student request to clarify the issues to be raised and adjudicated at the due process hearing,” dated September 25, 2013, and as further clarified at the due process hearing. The ALJ has reorganized the issues for the purpose of clarity. In addition, certain issues were earlier dismissed from Student’s complaint prior to the PHC and this hearing on August 22, 2013.
d. Offer Student placement in the least restrictive environment in the April 24, 2013 and May 21, 2013 triennial IEP? 2) Did District deny Student a FAPE in the least restrictive environment in the triennial IEP because District predetermined Student’s placement and failed to consider the recommendations of Student’s IEP team members who had knowledge of Student at the April 24, 2013 and May 21, 2013 IEP team meetings? 1) Is the District entitled to complete its triennial psychoeducational assessment and behavior assessment absent parental consent and without parentally imposed conditions or restrictions? 2) Whether District’s February 11, 2013 triennial speech and language assessment of Student was appropriate such that Student is not entitled to an independent educational evaluation (independent evaluation) at public expense? 3) Is Student entitled to an independent evaluation in the area of social skills at public expense where Parents had not permitted District to complete its proposed assessment in this area? Student contends that District denied him a FAPE by failing to complete the triennial assessments that District agreed to conduct pursuant to a May 2010 settlement agreement between the parties and thus failing to have or write “measurable present levels of performance” and “appropriate goals” in his triennial IEP. Student argues that District predetermined his placement because District failed to consider the recommendations of Student’s Mother and his teacher, and failed to have enough discussion of District’s placement offer at the IEP team meetings. Finally, Student alleges that the placement offered at the IEPs is not the least restrictive environment for Student, as Student could benefit from a full-inclusion program in a public school setting; additionally the non-public school placement offered by District had no typically developing peers. In addition, Parents contend that District denied Student a FAPE by denying Parents’ request to “see and hear” (observe) the assessment of Student, and by requesting that they sign District’s assessment plan while they have agreed to the assessment of Student through a settlement agreement. District contends that its IEP placement is the least restrictive environment for Student as the IEP was designed to meet and address Student’s unique needs and provide educational benefit, based on the available information it had about Student at the time the IEP was developed. Further, District argues that it complied with all relevant laws, substantively and procedurally, and that Parents were able to provide input and meaningfully participate in the IEP development process prior to its offer. Additionally, District asserts that it has been unable to complete its triennial psychoeducational and behavior assessments of Student because Parents had insisted on not allowing the assessments unless Mother is allowed to observe the assessments. Thus, District argues that it is entitled to complete the assessments of Student without any conditions or restrictions. Also, District contends that Student is not entitled to independent evaluations in the areas of social skills and speech and language, at public expense, because it has not been allowed to complete its triennial reassessment of Student, and because its speech and language assessment of Student was appropriate. 1. Student is a sixth grade, 11-year-old male, who is eligible for special education and related services as a child diagnosed with autistic-like behavior (autism). At all relevant times Student resided with Parents within the geographical boundaries of District. Student was first found eligible for special education in 2005. 2. Since around May 2010, Student has not attended any of District’s schools, and had received all of his educational instruction and services through an in-home program funded by District. The in-home program was developed and supervised by Mother and implemented by an in-home teacher hired by Mother. 3. Due to his disability, Student has needs in the areas of academics, sensory integration and processing, speech and language including receptive, expressive, and social communication, and socialization. Academically, Student has significant needs in the area of reading comprehension, and has had issues with mathematical word problems4 due to his deficits in the area of reading comprehension. He has needs in the areas of writing (sentence construction) and vocabulary development. Student’s reading and math calculation skills are above grade level. Math is an area of relative strength for Student. 4. While Student is verbal, his use of verbal language is limited and impacted. His sentences are simple and short. His ability to use compound or complex sentences is very limited. Student seldom initiates conversation and he requires supports and facilitation for social interactions with others. Over the years, Student’s educational program had included services in the areas of applied behavior analysis (ABA), SL, socialization, and occupational therapy (OT), due to his unique needs. 5 The parties agreed that agreement would remain in effect through the last day of the 2013 E xtended School Year (ESY) and would cease to be in effect on the first day of the 2013-2014 ESY. Pursuant to the terms of the agreement, Student had participated in the home-school program for the entire period covered by the agreement and had received all of his educational instruction and services through the home-school program. 6. The two NPA’s assessments agreed to under the agreement were completed, but the psychoeducational and behavior evaluations were not due to dispute between the parties regarding the condition(s) under which the psychoeducational and behavior evaluations should be conducted. In addition, Mother has challenged the appropriateness of the speech and language assessment and requested two independent evaluations. 7. On November 15, 2012, District provided Parents with an assessment plan dated November 15, 2012, a copy of the Behavior Assessment System for Children, Second edition (BASC-2), Parent’s Rating Scales, as well as a copy of Parents Rights and Procedural Safeguards (notice of the procedural safeguards). The assessment plan indicated that Student would be assessed in the areas of academic achievement, health, intellectual development, language/speech communication development, motor development, social/emotional, adaptive behavior, and processing. The triennial reassessment would include interviews and observations of Student. The assessment plan indicated that Student’s language/speech communication development would be evaluated by the speech and language pathologist as well as the school psychologist. The school psychologist would be involved in assessing Student’s in all identified assessment areas, with the exception of Student’s health assessment that would be done solely by District’s nurse. Specifically, Student’s social skills functioning would be evaluated through the speech and language assessment (according to the settlement agreement) and District’s psychoeducational assessment. 8. Although Parents had already consented to Student’s psychoeducational and behavior assessments, District wanted Parents to return a signed copy of the assessment plan so the plan could be given to the assessors. The reason why District wanted to provide copies of the assessment plan to the assessors was not explained during the hearing. Nonetheless, the evidence showed that, neither Parents nor District believed that the psychoeducational and behavior assessments could not be conducted without the assessment plan being signed by Parents. 9. Parents did not return a signed copy of the assessment plan. They had agreed to Student’s triennial reassessment in the agreement and believed that the assessment plan was unnecessary. Further, Parents believed that the assessment plan was inconsistent with agreement regarding the scope and substance of the proposed assessments. According to Parents, the May 2010 agreement neither allowed nor required a health assessment of Student, and does not permit the school psychologist to assess any of Student’s needs in the area of “language/speech communication development.” Parents believe that this area of inquiry should be assessed solely by the NPA speech and language pathologist through the speech and language assessment, in accordance with the agreement. 10. Additional disputes arose between District and Parents regarding how and under what conditions District was to conduct the psychoeducational and behavior assessments. Specifically, in a series of emails and letters, Student’s Mother requested that she be permitted to observe the psychoeducational and behavior assessments, otherwise she would not allow the assessment of Student in these areas. 11. District denied Parents’ request to observe the assessments, citing reasons of test validity and integrity, its policy and procedures for assessments, and overall concern that the testing environment would be altered by mother’s presence. As a compromise to Parents, District offered to assess Student at Cameron School, where Mother would be able to observe the assessments through a window, but would not be able to hear the tests questions or test administration itself. District’s offer was not accepted by Mother, and as a result, Student’s psychoeducational and behavior assessments were never completed. As discussed further below, Mother improperly prevented District from conducting its triennial psychoeducational and behavior assessments of Student, as District has no legal obligation to accommodate Mother’s request to observe the assessment. 12. As required under the agreement, the speech and language and OT assessments of Student were completed by two NPA’s. Parents have challenged that appropriateness of the speech and language. 13. A school district is required to assess Student in all areas of suspected disability to determine needs for services and intervention. The district must administer assessments in the language and form most likely to yield accurate information on what Student knows and can do academically, developmentally, and functionally, unless it is not feasible to do so. The assessments must be conducted by persons who are knowledgeable and competent to perform the assessments, and trained personnel must administer the tests and assessment materials in conformance with the instructions provided by the producer of such tests. Tests and assessment tools must be used for purposes for which they are valid and reliable, administered in conformance with the instructions provided by the producer of the tests, and in the language and form most likely to yield accurate information. No single measure can be used as the sole criterion for determining whether Student is eligible for special education, or whether a particular special education program is appropriate. Lastly, the school district must assess or reassesses the educational needs of the special education student not more frequently than once a year, but at least once every three years, with parental consent or an order by OAH. 14. In February 2013, Ms. Jennifer Marie Ogar, a speech and language pathologist, conducted Student’s triennial speech and language evaluation and produced an assessment report dated February 11, 2013. On May 7, 2013, Parents challenged the appropriateness of Ms. Ogar’s assessment and requested an independent evaluation. Mother requested two independent evaluations, one in the area of speech and language and a second in the area of social skills, because she believes that District’s speech and language assessment did not “cover all areas of suspected disability,” was not adequate. District timely denied both requests, and requested a hearing to demonstrate the appropriateness of its speech and language assessment. 15. Ms. Ogar works for the Speech Pathology Group (SPG), a NPA that provides speech and language therapy to individuals, including public school students, and those with autism. She has been employed at SPG for about five years. At SPG, she is a clinical supervisor of several SLT’s working with different school districts, and in that role she oversees the development of IEP’s, referrals for assessments, and provides training to speech and language therapists. Over her 13 years career as a speech and language pathologist, she has conducted about 700 speech and language assessments and has attended and participated in numerous IEP team meetings. About 200 those assessments were with children with autism. 16. Regarding her qualifications, Ms. Ogar has both a bachelor’s and master’s degree in communicative disorders. She holds a Certificate of Clinical Competence (CCC) granted by the American Speech-Language-Hearing Association (ASHA) in both speech-language pathology and audiology,6 and is licensed in the State of California as a speech and language pathologist. She has presented training in speech and language development. She has published a number of papers dealing with speech and language issues including semantics, motor speech disorder including apraxia speech and aphasia (a disturbance of the comprehension and formulation of language). Also, she has collaborated on several books and has contributed to books authored by other experts in the field. Ms. Ogar is qualified to assess Student’s speech and language, and pragmatic language needs. 6 According to ASHA, CCC is the only universally recognized credential for the profession, and only individuals who meet specific requirements may obtain the CCC. 17. Ms. Ogar’s assessment was to determine his current levels of speech and language functioning. She assessed Student’s health development, semantics, syntax, morphology, articulation, voice, fluency, and pragmatics. She observed Student and reviewed his background information, including his education and assessment history, medical and family history, his IEP dated April 12, 2010, and his 2010 ABA report. Ms. Ogar interviewed Parents’ and obtained information from Student’s teacher and Mother regarding Student’s strengths and weaknesses, auditory and visual skills, and areas of concern. Mother indicated that her main concerns were in the areas of Student’s expressive language and social skills. In addition, Ms. Ogar utilized standardized assessment tools, reviewed records, and observed Student, as part of her evaluation. 18. Ms. Ogar used the Children’s Communication Checklist, Second Edition (CCC-2) to informally assess Student. The CCC-2 is a norm-referenced questionnaire designed to assess children’s communication skills in the areas of pragmatics, syntax, morphology, semantics, and speech. Mother and Student’s in-home teacher completed the CCC-2 used by Ms. Ogar in her speech and language assessment of Student. In the CCC-2, Student scores were below to significantly below average in all areas. His weakest performance was in the pragmatics domain. He scored in the first percentile in initiation, in the second percentile in scripted language and social relations, and in the fifth percentile in context. Overall, Student’s scores in the CCC-2 confirmed that Student’s overall communication skills are delayed, and his pragmatic language/social skill needs are significant. 19. Ms. Ogar administered the Clinical Evaluation of Language Fundamentals, Fourth Edition (CELF-4) Pragmatics Profile to assess Student’s pragmatic and social language skills The CELF-4 Pragmatics Profile is a supplementary criterion–referenced test. This checklist is used to obtain additional information about a student’s overall pragmatic development and development of typically expected skills for social and school interactions. The CELF-4 Pragmatics Profile evaluated Student’s social language skills based on three main areas: rituals and conversational skills; asking for, giving and responding to information; and nonverbal communication skills. Student’s Mother completed the CELF-4 questionnaire. The score showed that Student has inadequate skills in all the three areas evaluated. Ms. Ogar explained that Student has relative strength in the area of asking for, giving, and responding to information, but has weaknesses in the areas of rituals and conversational skills, and significant weaknesses in nonverbal communication skills. In her report, Ms. Ogar noted that Student’s scores on the CCC-2 and the CELF-4 Pragmatics Profile rating scales are consistent with what she saw during her observation of Student. She noted that deficient nonverbal and deficient verbal pragmatic abilities impacted Student’s ability to communicate. 20. Ms. Ogar observed Student two times. During her observation of Student at the home-school program on February 28, 2013, both Mother and Student’s home-school program teacher were present. Student was observed for about 40 minutes working with his teacher. Student responded to his teacher with the same fast rate of speech and prosody7 observed during the formal testing. Student did not acknowledge Ms. Ogar’s arrival, presence, or departure, and displayed very little socialization skills with Mother and his teacher. Further, Student relied on verbal and visual prompts, and cues from his home-school program teacher. He responded favorably to the tokens he received for compliant behaviors and efforts. 7 “Prosody” is the rhythm, stress, and intonation of speech. 8 Pragmatic judgment measures Student’s ability to use social language in various scenarios, and non-literal language measures Student’s ability to interpret figurative language and sarcasm. 21. Based on her observations of Student on February 4 and February 28, 2013, Ms. Ogar reported that verbal and nonverbal pragmatics deficits were apparent as Student made fleeting eye contacts, spoke using a fast rate of speech and with atypical prosody. Student spoke in short sentences, and has some speech intelligibility issues. 22. In addition, on February 4, 2013, Ms. Ogar administered a number of standardized and other norm-referenced tests, and obtained Student’s speech/language sample during Student’s testing to analyze Student’s spontaneous language, intelligibly, and sounds production. Ms. Ogar allowed Mother to be present in the testing room. Ms. Ogar identified all of the tools utilized in her assessment’s report, and explained Student’s performance and scores in each test. 23. Of note, she administered the Comprehensive Assessment of Spoken Language (CASL), an oral language assessment battery of tests that tests for pragmatic/social communication skills. The CASL provides an in-depth evaluation of: 1) the oral language processing systems of auditory comprehension, oral expression and word retrieval; 2) the knowledge and use of words and grammatical structures of language; 3) the ability to use language for special tasks requiring a higher level of cognitive functions; and 4) the knowledge and use of language in communicative contexts. A score between 85 and 115 is generally considered to be in the normal range and would have placed Student in average range in his intelligence. 24. With the exception of the antonyms sub-tests – a single-word auditory memory test, Student performed in the below and significantly below average ranges in the receptive and expressive vocabulary and grammar abilities subtests. He achieved standard scores of 40 in paragraph comprehension (less than 1st percentile), 56 in syntax construction (less than 1st percentile), 67 in non-lateral language (1st percentile), and 40 in pragmatic judgment (less than 1st percentile).8 These are all known areas of weaknesses for Student. Student’s best performance on the CASL was in the area of antonyms (vocabulary), where Student was asked to give opposites of given words. He received a standard score of 88 in this area and was in the average range. Ms. Ogar explained that Student’s stronger performance in this area was not surprising since the antonyms sub-test required very little verbal speech skills because it required only a one word response. 25. She also administered the Montgomery Assessment of Vocabulary Acquisition -Receptive (MAVA-R); the Montgomery Assessment of Vocabulary Acquisition – Expressive (MAVA-E) tests. 9 The MAVA tests were administered by Ms. Ogar to explore Student’s understanding and use of receptive and expressive vocabulary. IAs in the CASL, a score between 85 and 115 is in the normal range. Based on the MAVA, Student’s current receptive vocabulary skills were in the 4th percentile (below the average range). Student’s expressive vocabulary was well-below average and below the 1st percentile. Based on the MAVA, Student is more impacted in his expressive vocabulary than in his receptive vocabulary. Based on a detailed analysis of the speech sample, Ms. Ogar determined that Student’s sentences are shorter than expected for his age. 9 The MAVA is a comprehensive test for evaluating a student’s expressive and receptive word knowledge. MAVA is norm-referenced. 26. Ms. Ogar also found significant language formulation difficulties in Student, as Student abandons most of his longer sentences midway through the sentence construction. Expressive and semantic language deficits were noted. Ms. Ogar concluded that the analysis of the speech sample confirmed what the standardized testing also showed, as both showed that Student had difficulties with sentence-level comprehension and significant language formulation deficits. He had issues with expressive grammar, maintaining, and participating in conversations. 27. Based on the speech sample and other tests, Student’s articulation and speech intelligibility is in the normal/average range. No consistent articulation error or phonological processes errors are apparent in Student’s spontaneous speech. While Student has a slight intelligibility issue due to his atypical prosody and fast rate of speech, Student’s speech is intelligible, and is within normal range in this area. Based on his speech sample, 63/66 of his utterance was fully intelligible (about 95 percent). Student’s oral-motor and voice were evaluated, and no weaknesses were found. 28. Based on Ms. Ogar’s evaluation, the evidence showed that Student has relative strengths in the areas of articulation and intelligibility, and has significant impairment across all other language domains – syntax, morphology, semantics, and pragmatics (both receptive and expressive). His pragmatic and social language skills are delayed based on the standardized testing, observations, and rating scales (CCC-2 and CELF-4). He has difficulties constructing simple and complex sentences, and has needs in the areas of oral and written comprehension, and vocabulary development. 29. Other than disagreeing with the adequacy of the speech and language services recommended by Ms. Ogar, Student did not show what part of the assessment he disagreed with, or how or what part of the assessment was not appropriate or administered improperly. Student did not establish that the assessment was conducted improperly, the assessor was unqualified to conduct the assessment, or she administered any of the assessment tools improperly. Nothing presented at the hearing by Student demonstrated that Ms. Ogar failed to obtain valid and reliable information regarding Student’s present levels of functioning or performance in the area of speech and language, or in the area of social skills. 30. The Based on the totality of the evidence, the speech and language assessment conducted by Ms. Ogar in February 2013 was appropriate, and Student’s speech and language needs, including social skills, were appropriately assessed. 31. Student’s OT assessment was conducted by Ms. Elizabeth Bianchi Isono between March and April 2013. Ms. Isono is a registered and licensed occupational therapist. She received an undergraduate degree in neuropsychology and a master’s degree. While Ms. Isono’s April 2013 assessment is not in dispute in the case, in order to evaluate Student’s IEP goals, including modifications and accommodations recommended for Student, Ms. Isono’s OT assessment of Student is discussed briefly. 32. Based on her assessment, Ms. Isono produced an assessment report dated April 1, 2013, and presented her report at an IEP team meeting on May 21, 2013. At the IEP, she made recommendation for OT consultative services, and strategies and supports to be used with Student, and for modification and support in Student’s educational setting. She concluded that Student’s sensory issues and sensitivity to noise would impact Student’s ability to participate in a mainstream educational setting without proper supports and accommodations. 33. If a parent disagrees with any assessment obtained by a public educational agency, the parent has the right to obtain an independent evaluation at public expense under specified circumstances. The parent must notify the school district that they disagree with the assessment and request that the school district conduct an independent evaluation at public expense. Faced with that request, the school district must provide the independent evaluation at public expense, or deny the request and prove that its assessment is appropriate in a due process hearing. Because the speech and language assessment by Ms. Ogar is found to be appropriate in this hearing, Student is not entitled to an independent evaluation in the area of speech and language. 34. As discussed above, Parents requested two independent educational evaluations on May 7, 2013, in the areas of speech and language, and social skills. In a June 5, 2013 letter, District denied the requests based on the assessment by Ms. Ogar that District believes is appropriate. As established above, Ms. Ogar properly assessed Student’s speech and language, and accordingly, Student is not entitled to an independent evaluation in the area of speech and language. 35. Regarding Parents’ request for an independent evaluation in the areas of social skills, District has not been able to fully assess Student’s social and emotional functioning, and social skills functioning, either through the May 2010 settlement agreement, or pursuant to its assessment plan dated November 15, 2010. By withholding consent and not presenting Student for the remainder of the agreed upon assessments, Parents have prevented District from assessing Student in this area of need. Accordingly, there is no District assessment to which Parents can object against and for which Parents can seek an independent educational evaluation. 36. The IEP must include an assortment of information, including an accurate statement of the child’s present levels of academic achievement and functional performance. There is no requirement that the baseline information be measurable. The IEP must also include a statement of measurable annual goals and objectives that are based upon the child’s present levels of academic achievement and functional performance and a description of how the child’s progress toward meeting the annual goals will be measured. A school district provides a FAPE to a student if its program or placement is designed to address the student’s unique educational needs and is reasonably calculated to provide meaningful educational benefit in the least restrictive environment. An IEP is evaluated in light of information available to the IEP team at the time it was developed. It is not judged in hindsight. 37. Student’s triennial IEP team meeting was initially held on April 24, 2013, and was concluded on May 21, 2013. Parents have alleged that District failed to write measurable present levels of performance in the areas of social skills, group skills, academic skills (reading and math), and speech and language, and failed to develop appropriate goals in these areas. In addition, Parents alleged that District failed to offer him placement in the least restrictive environment at the April 24, 2013, and May 21, 2013 IEP team meetings, and District predetermined his placement because District failed to consider the recommendations of the IEP team members who had knowledge of him. These issues are addressed separately below. 38. The April 24, 2013 IEP team meeting was attended by Mother, Student’s home-school program teacher, Ms. Shannon J. Riehle,10 Barbara McIntyre (General Education Teacher), Rosalind Brown11 (Special Education Program Specialist), Dr. April Jourdan (District’s School Psychologist and Behaviorist), Ms. Catherine Sanchez-Corea (Special Education/Full Inclusion Teacher), and Ms. Ogar. Ms. Ora Anderson, District’s Director of Special Education and the administrative designee, was present at the meetings. Finally, due to the history of disputes between the parties, a neutral facilitator was present at Student’s triennial IEP team meetings. 10 Ms. Riehle has been Student’s home-school teacher since 2011. She has a Master of Arts in Education, and a Bachelor of Arts in English. She holds a general education multiple-subject credential with CLAD (Cross-cultural, Language, and Academic Development). She has seven years of teaching experience in traditional and Montessori classrooms, had has knowledge teaching reading, writing and math. Between 2008 and 2013, she has worked as a home-school instructor for at least two children including Student. Between 2002 and 2008, and prior to her engagement as a home-school instructor, Ms. Riehle taught as a kindergarten and first grade teacher in a private school for about five years, and in public school (second grade teacher) for about a year. Ms. Riehle is not credentialed to teach special need students but she has attended several trainings relating to educating and servicing of special needs students. 11 Ms. Brown has been District’s Special Education Program Specialist for the elementary schools for about seven years, and she is familiar with Student and his unique needs. She first met Student around 2008, and had attended some of Student’s past IEP team meetings while Student was last in a public school placement at Hanna Ranch Elementary School (Hanna Ranch). She was the Program Specialist at Hanna Ranch while Student was placed there. Ms. Brown received a master’s degree in Curriculum and Instructions, and a bachelor’s degree in Health Science. She has a credential as an educational specialist (mild-to-moderate disability). She has been with the District for about 17 years, during which period she had held other positions including 11 years as a special education special day teacher (mild to-moderate classroom). As a program specialist, Ms. Brown supports special education staff, school sites and administrators assigned to her, attends IEP team meetings, facilitates IEP team meetings when assigned, and reviews the IEP’s in the caseloads of special education staff at the school sites she support. She has about 530 special need students on her caseload each year, monitoring each of their IEP’s and attending several IEP team meetings per year regarding the students. As a special education teacher and a program specialist, she often drafts IEP goals and objectives for students, and reviews goals and objectives as well. She has had to draft the goal and objectives for about five percent of the student on her caseload. The evidence showed that Ms. Brown is experienced and trained on how to draft IEP goals and objectives. 12 Mother and Ms. Riehle had produced summarized versions of the Progress report (199 pages) and ABA report (49 pages), which they presented at the IEP team meeting. 13 Mother was concerned that Student’s IEP indicated that his academic goals were written to enable Student to be involved and/or make progress in sixth grade “general curriculum/state standard.” Mother interpreted that to mean that Student’s goals were written based on the assumption that Student was performing at a sixth grade level academically. The evidence failed to support Mother’s interpretation. 14 Dr. Jourdan is a licensed psychologist and a board certified behavior analyst. Dr. Jourdan received her doctorate degree in Counseling and Human Development form the University of Rochester, Rochester, New York in 2004, and her master’s degree in School Counseling from Loyola Marymount University, Los Angeles, in 1998. Her bachelor’s degree in Psychology was received in 1994 from the Towson University, Maryland. She holds licenses and credentials including a Board Certified Behavior Analyst (BCBA), a Licensed Educational Psychologist, a Pupil Personnel Services Credential, School Psychology and Pupil Personnel Services Credential – School Counseling. She has participated in several trainings, including one relating to how to administer Autism Diagnostic Observation Schedule (ADOS). Dr. Jourdan is familiar with Student and his needs. She had administered the ADOS assessment on Student in the past, reviewed his cumulative file and had completed two recent observations of Student as part of her yet-to-be-completed triennial psychoeducational and behavior assessment of Student. She is qualified to conduct Student’s psychoeducational and behavior assessment, and administer the VB-MAPP as an assessment tool. She has been District’s School Psychologist and Behaviorist since 2006. (See Exhibit D-30). 39. The purpose of the April 24, 2013 IEP team meeting was to review the speech assessment of Ms. Ogar, the OT assessment of Ms. Isono, the “Progress and Assessments Report” (Progress Report) prepared by Ms. Riehle, and the “ABA Progress and Assessments Report” (ABA report) prepared by Mother. Prior to the IEP team meeting, Mother submitted the 833-page combined progress and ABA reports to District through a number of email messages Mother sent to Mr. Collins between April 18 and 19, 2013. The reports contained information about Student’s home-school program, his ABA intervention, current levels of performance, and current needs. Mr. Collins provided the reports to Ms. Anderson as the District person in charge of Student’s IEP. Ms. Anderson reviewed it in part prior to the April 24, 2013 team meeting. She brought copies of the report to the April 24, 2013, team meeting and provided copies to other team members. 40. At the meeting, the speech and language assessment results were presented by Ms. Ogar. Ms. Ogar presented her assessment’s’ findings about Student and discussed Student’s areas of need. Both Ms. Riehle and Mother were able to provide input. Ms. Ogar answered Mother’s questions. Thereafter, Ms. Ogar presented the draft speech and language goals and made recommendations for speech and language services. 41. The IEP team reviewed the progress and ABA reports submitted by Mother and Ms. Riehle12 Mother presented her ABA report about Student and reported that Student made significant progress in the home-school program using ABA principles/techniques. The ABA techniques mainly used with Student in the home-school program involved a reward and token system. Student was rewarded for compliant behaviors and good performance by earning tokens, which Student could then exchange to spend time doing a preferred activity. Both Mother and Ms. Riehle discussed Student’s areas of needs and their concerns. 42. Mother requested that the IEP team meeting be continued in order to have the time to review the speech and language goals. 43. At the May 21, 2013 continued IEP team meeting, Mother again presented information about Student’s home-school program, and information about Student’s needs. She recommended that focus should be on Student’s generalization skills and that goals should be based on Student’s developmental level rather than his grade level.13 Further, Mother indicated that focus should be placed on Student’s communication needs. 44. Ms. Riehle, Student’s home-school teacher, provided information about Student. Ms. Riehle prepared and presented her written “teacher recommendations” to Student’s IEP team members. As part of her recommendations, Ms. Riehle provided the following baseline information about Student. Regarding Student’s language and comprehension needs, Ms. Riehle indicated that Student’s ability to comprehend written materials needs significant support. She indicated that vocabulary development is an area of need in Student. According to Ms. Riehle, Student is challenged by complex sentence structure and comprehension, but able to master instructional content with supports and with one-on-one instruction. She believed that Student needed individual support and should not be expected to complete most work independently. 45. Regarding Student’s oral and written communication needs, Ms. Riehle believed that Student has needs in communicating his thoughts and ideas, using complete sentences, in responding to questions, and ongoing support with his language development should be a priority. She explained that Student has difficulties with auditory processing and recommended that instructions be presented to Student visually as well as orally. Oral instructions should be broken down and repeated as necessary. She recommended that Student would need to be explicitly taught how to use different components of sentences, and that Student should be encouraged to use adverbs and adjectives in his spoken and written sentences. He must have opportunities to practice communication with peers. She believes that Student would do best if given the opportunity to practice sentence building as an isolated skill targeting specific goals in addition to engaging in conversations. 46. As for Student’s social skill needs, Ms. Riehle recommended that Student should be taught explicitly feelings and cues in order to help him identify social cues. Student should be taught social skills and social understanding, and be given opportunities to work with peers – both at his age level and his developmental level in order to practice social skills in social situation. Student needs social skills facilitation with peers. 47. Finally, regarding placement, Ms. Riehle recommended that in order to meet Student’s educational and social needs, Student should: 1) be placed in a setting that provide him the opportunity to spend time with peers at both his age level and his developmental level; 2) have individual instruction; 3) have visual supports; 4) have his instructional materials and their presentation modified to meet Student’s unique needs; 5) have his lessons presented with ABA principles that work to encourage and reward his focus and engagement; and 6) have his IEP address his needs to develop his communication skills, and social skills and awareness. She concluded that Student would need a flexible curriculum that can be modified as required to meet his needs. Student should be provided supports and lots of scaffolding (breaking down the required tasks into simpler individual tasks). 48. The team discussed Student’s need for socialization, an important area of need for Student. Mother indicated that Student should be taught skills to socialize one-on-one, and the full inclusion teacher indicated that Student’s socialization program should include both teaching and practicing, according to the IEP note. Other members of Student’s IEP team, including Dr. Jourdan, agreed that socialization and social interaction is important for Student.14 The team agreed that socialization should be an important piece in Student’s educational program. 49. Ms. Isono participated in the development of Student’s IEP and attended the May 21, 2013 IEP team meeting where she presented her April 2013 OT assessment results and discussed Student’s areas of needs, his present levels of performance, and made recommendations for Student’s educational program, including strategies and supports for Student. Of note, Ms. Isono identified areas of needs in Student to include self-regulation, processing deficits, and his needs for scaffolding and instructional supports. According to Ms. Isono, Student needs predictability and would have difficulty in a very busy learning environment. Ms. Isono testified at the hearing regarding her assessment’s results and Student unique needs. She credibly explained and supported her assessment findings about Student. She explained that Student “will do best with more structure and fewer distracters” and that “a more controlled learning environment” would help Student to better process information presented to him. She believes that the multisensory processing demands inherent in a typical school setting along with cognitive demands of the curriculum may be more than Student could manage without appropriate structure, strategy, and support in place. 50. Student’s IEP team determined that annual goals would be written to address social skills, group skills, reading comprehension, vocabulary development, written and oral English language conventions, writing strategies, math, expressive language, receptive language, and pragmatics in order for Student to receive educational benefit. Twenty-eight draft goals and objectives were developed and presented at Student’s IEP team meeting on April 24, 2013, and May 21, 2013. Dr. Jourdan presented Student’s social skills goals, Ms. Isono presented the speech and language goals, and Ms. Brown presented Student’s academic goals. Ms. Brown drafted Student’s academic goals. She relied on the information provided by Student’s home-school teacher and Mother primarily and regarding Student’s functional abilities his overall present levels of performance in the area of academics. She utilized Student’s teacher’s recommendations for supplementary aids and supports, and accommodations, baseline information, as well as the Woodcock Johnson Test of Academic Achievement (Woodcock Johnson) assessment data that the teacher provided in developing Student’s academic goals and objectives, among other information she relied upon. She reviewed Student’s records and other available information about Student, including assessments reports and results. She targeted the goals to Student’s identified areas of needs according to the assessments’ data and information provided to her about Student from Mother and Student’s teacher. 51. Student’s triennial IEP included 28 goals comprising of three goals in the area of socialization (social skills and group skills), 14 goals in the area of reading comprehension, vocabulary development, written, and oral English Language conventions. There were seven math goals (number sense and word problems) and four speech and language goals. 52. Parents allege that all the 28 goals failed to include measurable baselines or present levels of performance, and that the goals are not appropriate. As discussed above, the law does not require that present levels of performance or baselines be measurable. Rather, the IEP must include statements of Student’s present levels of performance, and a statement of measurable annual goals and objectives that are based the present levels of performance in all areas. Therefore, any issue relating to the measurability of the baselines is irrelevant. 53. Student’s three social and group skills goals targeted Student’s needs in the areas of social skills development, social interactions, and group participation skills. They intend to assist Student learn and practice social skills in individual and group settings. The goals targeted Student’s conversational language and pragmatic skills deficits, and were intended to help him learn and generalize his social skills. The goals included three short-term objectives, which, if implemented, would enable Student the opportunity to develop and increase the time spent mastering the target skills gradually. 54. Each of the social skills and group skills goals targeted areas of needs documented in Student’s records, and several observations by both District’s and NPAs’ personnel during their assessments of Student. Based on Student’s records (including IEP and assessments’ results), the observation of Student by Dr. Jourdan, the observation and assessments of Student by Ms. Isono and Ms. Ogar, and the more recent observation and assessment of Student by Dr. Powers, the areas targeted by these goals are both current and existing areas of needs for Student. In addition, based on the IEP notes, Mother, Ms. Riehle, and Student’s sister agreed that social and group skills are areas of needs in Student. 55. While Parents attempted to argue that the above goals may be inappropriate for Student because Student could already engage socially with his sister at home longer than the time specified in the goal, this contention even if held to be true, failed to render these goals inappropriate. The above goals were developed to enable Student to engage in more social opportunities, even in unfamiliar settings and in different settings other than his home. The evidence failed to show that Student could already do this. In fact, what the evidence showed was that Student’s social exposure outside of his home has been significantly limited. Student had only been taken outside of the home for any socially related activity with his teacher only about four times since 2010 when she began teaching Student. According to Ms. Riehle, Student was once taken to the park, once taken to the neighborhood, once taken to the lumberyard to look for woods, and once taken to Home Depot to buy a fir tree. All of the trips were to obtain materials for Student’s curricular work in science, and were not social outings exclusively. The IEP team members, including Parents, Student’s teacher, and sister, discussed Student’s need for socialization and determined that goals must be developed in this area to help Student gains relevant and generalized skill in this area of need. 56. While Parents challenged the baselines based on measurability, the baselines are being discussed regarding their accuracies in order to evaluate the appropriateness of the goals. In this hearing, Student failed to establish that the baseline statements did not reflect Student’s present levels of performance in the areas of social and group skills at the time they were written. Student did not present any evidence to show how or why the information District relied upon in developing the social skills and group skills goals, at the time of the triennial IEP was developed, was either inaccurate or inadequate. On the contrary, the evidence established that Student’s social and group skills goals and objectives in the triennial IEP were based on accurate information regarding Student’s present levels of performance in the areas of socialization. The IEP team members, including Parents, Student’s teacher, and sister, discussed Student’s need for socialization and determined that goals must be developed in this area to help Student gains relevant and generalized skill in this area of needs. 58. As indicated above, Student has four speech and language goals. Ms. Ogar wrote the goals and presented the goals at Student’s triennial IEP team meeting. The evidence established that the goals and the areas of needs targeted by the goals were identified in Ms. Ogar’s speech and language assessment of Student conducted in February 2013. The assessment was appropriate and valid, and adequately assessed Student’s speech and language functioning as determined above. The four speech and language goals developed by Ms. Ogar for Student targeted Student’s expressive and receptive language deficits and deficits in the areas of pragmatics. They addressed skills relating to asking and answering questions, participating in conversations, and skills relating to the identification, definition, and response to nonverbal cues. 59. The speech and language goals are appropriate, measurable, and are based on accurate present levels of performance data as collected in and during Ms. Ogar’s assessment of Student. In assessing Student, Ms. Ogar found that Student had difficulties responding with complete sentences when answering questions and did not initiate or maintain conversational exchanges. The goals were written to improve Student’s oral communication and delivery skills, and improve his pragmatic skills. The goals targeted areas of knows and important needs in Student. Based on Student’s records (including IEP and assessments’ results), the observation of Student’s by Dr. Powers, Dr. Jourdan, the observation and assessments of Student by Ms. Ogar, and the more recent observation and assessment of Student by Dr. Powers, the areas targeted by Student’s speech and language goals are both current and existing areas of needs for Student. The evidence showed that the four speech and language goals meet Student’s needs. In addition, other than Student’s speech and language Goal 4, Parents appear to concede and Ms. Riehle agreed that Student’s speech and language goals are appropriate. The evidence established that all of the four speech and language are appropriate. The goals enabled District’s staff to monitor and measure Student progress towards the goals and report on the goals. 60. Student failed to establish that the goals did not meet Student’s needs. To the contrary, the evidence established that Student’s speech and language goals contained in the triennial IEP were based upon accurate information regarding Student’s present levels of performance in the areas of speech and language. The IEP team members, including Parents and Student’s teacher discussed Student’s delays in the areas of participating and maintain conversation, constructing simple and complex sentences, and asking/answering questions (manding), and pragmatics. These are known areas of needs in Student, as documented in Student’s records and assessments’ results. 61. Student’s academic goals include nine goals in the areas of reading comprehension and vocabulary development, five goals in the area of written and oral English Language conventions, and seven goals in the areas of math (number sense and word problems). Mother believes that some of the goals are too advanced for Student, or that they were written on the assumption that Student was performing academically at a sixth-grade level. Further, in his closing brief, Student argues that the academic goals could not be appropriate because District failed to complete its triennial assessment of Student. District contends that they relied on the information provided about Student’s academic performance in developing the goals, as they have not be allowed by Parents to complete their assessment of Student regarding his academic performance. All 21 academic goals are presented and evaluated together. 62. Student’s nine reading comprehension and vocabulary development goals focus on Student’s needs, and were designed to help Student to: 1) identify the structural features of media and use it to obtain information; 2) compare and contrast the organizational patterns; 3) analyze by connecting/clarifying ideas; 4) clarify an understanding of the texts by creating outlines, notes, summary or report; 5) follow multi-stop instructions for completing applications (e.g., for a public library card, bank savings account, sports club, league membership); 6) describe the qualities of characters on stories; 7) identify speakers and recognize differences between first- and third-person narration; 8) compare use of fact and fantasy in stories; and 9) identify and paraphrase figurative language highlighting words with multiple meanings, respectively. 63. Each of Goals 1 through 9 included three short-term objectives, which either broke down the required tasks into simpler individual tasks, one at a time, or increased levels of required proficiencies from one reporting period to another. 64. The evidence showed that Student’s nine reading comprehension and vocabulary development goals targeted all identified areas of needs in both areas. The present levels of performance data included with the goals were based on information provided by Mother, Student’s teacher and supported by Student’s assessments’ data and educational record. At the time the IEP was developed, District reasonably relied on the available data on Student in developing the goals. The information relied upon enabled District to draft goals that targeted and addressed Student’s areas of needs. The goals are measurable and implementable to address Student’s needs. Therefore, as found above, the evidence showed that the goals are appropriate, and that they were based on accurate baseline data available on Student. The baseline data were reflective of Student’s current level of functioning at the time the IEP was developed. District reliably relied on the data in developing Student’s goals, and the information relied upon enabled District to draft goals that targets and addresses Student areas of needs. The evidence established that the goals are measurable and continue to address Student areas of needs. Therefore, the evidence showed that the nine reading comprehension and vocabulary development goals are appropriate, and that they were based on accurate baseline data available on Student. The baseline data were reflective of Student’s current level of functioning at the time the IEP was developed. The goals enabled District’s staff to monitor and measure Student progress towards the goals and report on the goals. 65. Student’s five written and oral English Language conventions goals focus on Student’s needs, and were designed to help Student to: 1) write and speak in simple, compound, and compound-complex sentences, and express complete thoughts; 2) identify and use pronouns and verb tenses; 3) match scenarios; 4) develop writing strategy; and 5) improve writing organization skills, respectively. 66. Each of Student’s written and oral English Language conventions goals included three short-term objectives, which broke down the required tasks into simpler individual tasks and increased levels of required proficiencies from one reporting period to another. 67. The evidence showed that Student’s written and oral English Language conventions goals targeted identified areas of needs in Student relating to Student’s deficit in oral and written language, sentence construction and writing. The present levels of performance data included with the goals were based on information provided by Mother, Student’s teacher and supported by Student’s assessments’ data and educational record. At the time the IEP was developed, District reasonably relied on the available data on Student in developing the goals. The information relied upon enabled District to draft goals that targeted and addressed Student’s areas of needs. The evidence established that the written and oral English Language conventions goals are measurable and implementable to address Student’s needs. Therefore, as found above, the evidence showed that the goals are appropriate, and that they are based on accurate baseline data available on Student. The goals enabled District’s staff to monitor and measure Student progress towards the goals and report on the goals. The baseline data were reflective of Student’s current level of functioning at the time the IEP was developed. 68. Student’s math goals target his particular areas of needs relating to number sense and word problem. Respectively, the seven goals were designed to help Student to: 1) calculate sales discounts, interests, and tips; 2) solve mathematical problems and create a visual representation math problems; 3) solve addition, subtraction, multiplication and division problems; 4) identify common multipliers and divisors; 5) list conversion rules to solve problems; 6) memorize and list steps, and problems requiring formulas; and 7) represent possible outcomes for compound events. 69. Here also, the evidence showed that Student’s math goals targeted identified areas of needs in Student and addressed Student’s world problem relating to his difficulty with reading comprehension. The number sense goals were designed to enable Student to continue to make progress in his math calculation skills, which is an area of strength for Student. Overall, the evidence showed that the goals were designed to meet Student’s unique needs. The present levels of performance data included with the goals were based on information provided by Mother, Student’s teacher and supported by Student’s assessments’ data and educational record. At the time the IEP was developed, District reasonably relied on all available data on Student in developing the goals. The information relied upon enabled District to draft goals that targeted and addressed Student’s areas of needs. The evidence established that the math goals are measurable and implementable to address Student’s needs. The evidence showed that the goals are appropriate, and that they are based on accurate baseline data available on Student. The baseline data were reflective of Student’s current level of functioning at the time the IEP was developed. 70. The goals are appropriate as written in Student’s IEP. At the hearing, Mother and Ms. Riehle testified that Student’s goals are not appropriate because they appear to be above Student’s abilities. As discussed above, this contention is not borne out by the evidence. Also, Dr. Powers testified at the hearing that she believes that the goals are inappropriate because some of the terms used in the goals were “undefined.” She picked out terms like “cooperative, constructive, or physical play activities” in Student social skills Goal Number 1, and contended that those terms (“cooperative,” “constructive,” and “physical play”) were undefined, and thus could be subject to interpretations. According to Dr. Powers, she would have included some operational definition to some of the terms. Otherwise, she did not testify or believe that the goals are inappropriate either because they do not target Student’s areas of social skills needs, or because they are not implementable. 71. Overall, the evidence showed that Student’s 21 academic goals targeted Student’s areas of needs, are measurable, implementable and appropriate. District established that it relied on information that Mother and Student’s teacher provided the IEP team meeting, and that it believes that the information was accurate and reflective of Student present levels of performance. The evidence showed that District reasonably relied upon the information it obtained from all sources, including Mother and Student’s teacher in developing Student’s academic goals. In the hearing, the evidence failed to show that the information relied upon by district was inaccurate. Therefore, the evidence supports a conclusion that Student’s academic goals are appropriate, and are based on accurate baseline data available on Student at the time the IEP was developed. The goals enabled District’s staff to monitor and measure Student progress towards the goals and report on the goals. 72. Even if it could be argued that the baseline data provided by Mother and Parents, which District relied upon in drafting Student’s academic goals, were inadequate or inaccurate, the evidence showed that Parents improperly prevented District from completing its assessment of Student in the area of academic functioning. It prevented District from developing current, useful and relevant information regarding Student’s present levels of performance in the area of academic, and thus prevented District form collecting and writing its baseline data for Student. It would be inequitable to hold District responsible for the failure to gather the information it needed to write Student baseline data and measurable academic goals, and to ultimately develop its FAPE offer for Student. District sought to collect necessary and relevant academic data on Student but Parents improperly prevented District from collecting the data. Therefore, Student failed to establish that District is responsible for any denial of FAPE that might have resulted from any failure to include accurate baseline data with Student’s 21 academic goals. 73. Therefore overall, District satisfied its burden to develop appropriate goals in all areas discussed above. The actions of the school district cannot be judged exclusively in hind-sight, as an IEP is a snapshot, not a retrospective. In striving for appropriateness, an IEP must take into account what was, and was not, objectively reasonable when the snapshot was taken, that is, at the time the IEP was drafted. The evidence showed that the goals listed above targeted areas of needs in Student, as identified through observations, Parents’ and teacher’s rating scales, assessment’s results and Student educational records. 74. Here, District relied on objectively reasonable data at the time Student’s IEP was drafted. As set forth above, Student was homeschooled since 2010 and had not attended any of District schools at any time preceding the development of the IEP. District reasonably relied upon data provided to it by Mother who acted as Student’s primary educator, and other data from current and past assessments. While it is true that after-acquired evidence may be used to gauge the objective reasonableness of a District’s actions in developing a student’s IEP, here such a retrospective analysis does not change the conclusions stated above. Based on the law, the critical time to assess whether District acted “reasonably appropriately,” was at the time of the development of the IEP. The evidence showed that District acted within the bounds of the standard for developing IEP’s, based on the foregoing discussion. It attempted to get additional academic performance data about Student and was prevented by Parents from doing so. 75. District used currently available baseline data to develop Student’s goals, and borrowed the baseline information included with the academic goals almost verbatim from the teacher-provided baseline information provided by Ms. Riehle to the IEP team. If the information happened to be inaccurate, District had no way of knowing that, as District had no independent access to Student. Ms. Riehle did not inform the IEP team that her data and information about Student was inaccurate or incomplete at the time Student’s IEP was developed. The evidence showed that in developing Student’s triennial IEP, including the goals, District relied on Mother and Student’s home-based program teacher to obtain updated information about Student’s academic functioning and used the most current information it had to develop Student’s goals and write the baseline information relating to the goals. Both Mother and Student’s teacher presented such information through their ABA and Student’s Progress reports based on the data collected by the Mother and Student’s home-based program teacher. 76. Both Mother and teacher presented reports to the IEP team, and each discussed Student’s present levels of performance in many areas including academic, social skills, as well as speech and language. Both completed and provided at least two rating scales to District and nonpublic school assessors as part of Student’s triennial assessments, and the development of his IEP. Ms. Riehle submitted Woodcock Johnson assessment data regarding Student’s academic performance to the IEP team. District established that it appropriately relied on the available information on Student, including the information provided by Student’s teacher and Parents. As a member of Student’s IEP team, Ms. Riehle prepared and presented her “teacher recommendations” to the team. She provided the team with information regarding Student’s areas of needs and made recommendation for services and support. Based on the above information provided by Mother and Ms. Riehle, and the assessors, the IEP team developed Student’s goals in the areas discussed above. An evaluation the goals listed and discussed above showed that Ms. Riehle and Mother provided Student’s IEP team with a significant portion of the information used and relied upon by District. 77. While Ms. Riehle testified at the hearing that District should not have relied on the Woodcock Johnson academic assessment data, because she was “just using the test to monitor Student’s progress,” the evidence failed to show that Ms. Riehle gave similar caveat/qualifications to the IEP team at the April 24, 2013, or the May 21, 2013 IEP team meeting. The evidence established that District had no basis to believe that the assessment data provided by Mother and Student’s teacher was either invalid or inaccurate at the time Student’s triennial IEP was developed. 78. Furthermore, the baselines for the goals listed above are supported by other data sources. While not available at the time Student’s triennial IEP was developed, the VB-MAPP assessment results conducted by Dr. Powers in July 2013, supported accuracy of the baseline information included with Student’s goals, and Student IEP. Therefore, based on the totality of the record, the evidence failed to show that the baseline information relied upon by District in developing all of his goals are inaccurate. 15 Student’s goals as written in the IEP are evaluated for adequacy in their current form. Therefore, while an issue has been raised regarding the question of whether District agreed that Student’s goals were to be revised to address Mother’s concerns, or otherwise, this dispute, if any, does not raise any relevant issue for determination. Based on the issues that have been raised in these matters, both parties clearly believe that Student’s April 24 and May 21, 2013 IEP, including the goals, services, supports and placement offers made therein, is District’s FAPE offer to Student for the 2013-2014 SY. 80. A special education student must be educated with non-disabled peers to the maximum extent appropriate, and may be removed from the regular education environment only when the nature or severity of the student’s disability is such that education in regular classes with the use of supplementary aids and services cannot be achieved satisfactorily. The determination of whether a particular placement is the “least restrictive environment” for a student involves an analysis of four factors, including: 1) the educational benefits to the child of placement full-time in a regular class; 2) the non-academic benefits to the child of such placement; 3) the effect the disabled child will have on the teacher and children in the regular class; and 4) the costs of educating the child in a regular classroom with appropriate services, as compared to the cost of educating the child in the district’s proposed setting. 81. At the May 21, 2013 IEP team meeting, the team discussed and considered various placement options for Student. They discussed and considered a general education placement (full inclusion), general education placement with special education support, special day class, a continuation of the home-school program, and nonpublic school placements. Star Academy and Anova Center for Education (Anova) were discussed as a possible nonpublic school placement options for Student. Dr. Jourdan, Ms. Anderson, Ms. Brown, Ms. Isono, Mother and Ms. Riehle, and several members of the IEP team initially thought the Student could be placed in a general education setting and be fully included with supplementary aids and supports, and needed accommodation and modifications. Some thought the home-school program should be continued for Student. 82. In response to the suggestion that Student should be fully included or placed in a general education setting with modification, accommodation and supports, Mother informed the team that noise and crowds have to be taken into consideration, as Student is unable to be in a classroom with other students. Ms. Riehle supported Mother’s position that noise is an issue for Student as she has to warn Student of impending noise, even before sharpening a pencil. Ms. Riehle indicated that Student’s need for one-on-one instruction may be beyond what could be accommodated in a general education setting even with curriculum modification. Ms. Riehle informed the IEP team that placing Student in a general education setting would be a challenge for Student because of all the different service providers. Student’s sister who was present at the May 21, 2013 IEP team meeting indicated that while a general education placement may benefit Student socially, she did not believe that Student was ready for such placement, but believed that Student would be ready in one or two years. 83. Ms. Isono agreed that noise was a problem for Student, and that Student would need “gentle exposure to be desensitized.” Therefore, Ms. Isono recommended that a transition plan for Student should include environmental, social, and curricular transitions for Student. Ms. Isono believed Student would need a very integrated program. 84. After the extensive discussion about Student’s needs and the various placement options suggested and considered for Student, Ms. Anderson, District administrate designee at the meeting, expressed some concerns about District’s ability to meet Student’s needs in a general education setting, whether fully included or otherwise because of many unknowns about Student. Student had been in a home-school program for three years, and has not participated in any public school activities since. Student had not socialized with others outside of his home during the three years, as Student mainly interacted with his teacher, Mother and his two sisters. Further, Ms. Anderson expressed concerns about Student’s environmental issue (for example, sensitivity to noise and some sensory and dis-regulation issues), about District’s ability to meet Student’s needs in its public school and modify his curriculum appropriately. She was concerned regarding the fact that Student had been at home for about three years and that District’s personnel have little or no direct information about Student. The team was also concerned about the large number of goals (28) included in his IEP, and whether the goals could be supported appropriately in a public school setting. 85. Regarding placement and services, the team discussed supports for Student including supplementary aids, services and supports including the use of a visual schedule, modification and accommodations. District proposed that Student receive 360 minutes of specialized academic instruction daily, two 30 minutes of speech and language services for a total of 60 minutes per week. He would receive 15 minutes weekly of speech and language service consultation with the teacher and other providers, and 60 minutes of OT services’ consultation per month. The IEP includes accommodations and supports for Student. Student would be provided cues, prompts and reminders, and study aids for Math and English Language Arts. He would be provided visual aids as learning support, and a quiet environment free from excessive noise. 86. In the end, Ms. Anderson indicated that District was looking at a nonpublic school placement for Student as a transitional placement. The placement would be reviewed and Student would be able to transition to a public school setting as appropriate. District offered Anova, located in the Concord as its placement offer for Student for the 2013-2014 school year. At Anova, Student would be in a special education setting for 100 percent of his school day. 87. Mother disagreed with District’s offer of Anova because Anova has no typically developing students. Mother indicated that Student has issues with motion sickness. The evidence failed to establish that any such issue would prevent Student from attending school at Anova. No medical evidence was offered, and several witnesses indicated that they have seen Student riding to and fro school in a car with his Mother. Anova is about 20 minutes from Mother’s home. Parents requested that Student be placed in a public school setting with one-to-one instruction for his academic need. According to Mother, in such a public school placement, Student’s teacher would be ABA-trained, and all personnel working with Student must be ABA-trained as well. Student’s social skills needs would be met through a students’ volunteer program (“the lunch bunch”) where Student would meet and socialize with typically developing volunteer students/peers at lunches and during recesses. According to Mother, the volunteer students must be trained in ABA as well. Finally, Student would have a transition plan for reintegration into general education and/or more or full inclusion, according to Mother. 88. Student has needs in many areas, including academic, speech and language, social language, social and group skills. He has 26 goals in his IEP. The evidence established that socialization is a major area of need for Student. 89. Neither party has alleged, or offered any persuasive evidence to support a conclusion that Student is ready for, or otherwise able to meaningfully participate in general education setting with or without supplementary aids and support for the purposes of the least restrictive environment determination. In fact, as established above, Mother had requested placement in a public school setting but with one-on-one academic instruction, and a highly controlled socialization program. The evidence showed that Student requires significant supports, accommodation and modifications to the extent that his instruction could only be delivered in an individualized or small group setting. Regarding the first factor in the least restrictive environment analysis, as established above, this Student would not benefit from general education or other public school classroom placement, as his sensory issues would interfere with his ability to access the curriculum and receive academic benefit. Student’s teacher expressed concerned about moving Student from a home-school program to a public school setting, and Student’s sister thought Student was not ready for such transition. Mother expressed similar concerns, thus her recommendation that Student should receive all of his academic instruction one-to-one in a public school setting but away from the general education class. Student should only participate in structure social interactions though the lunch buddy and the ABA-trained volunteer- students. The evidence showed that, both academically and socially, Student would be unable to participate in any meaningful way in a regular education setting with his nondisabled peers due to his sensory issues and sensitivity to noise. No one, including Mother, his home-based program teacher and Dr. Powers thought that Student is ready for mainstreaming in a public school setting regardless of how little time spent with his nondisabled peers. Dr. Powers recommended that Student’s academic and socialization program be highly structured. In fact, Mother had requested that Student be placed in a public school setting, but that Student should have his academics needs met in a one-to-one instructional setting, and away from his nondisabled peers. Socially, Mother requested that individuals working and interacting with Student, including the nondisabled-volunteer peers be ABA-trained. Mother also requested the “lunch buddy” program for Student as part of his socialization program. The evidence established that District had no such lunch buddy program at Student’s home school where Parents wanted Student to attend. Also, District established that it would be unable to build Student’s socialization program on a student-volunteer lunch buddy program as Parents have requested. The evidence showed that Student would not have received meaningful educational benefit from mainstreaming on a public school campus. 90. Regarding the non-academic or social benefits that Student may receive from a full-time placement in a regular education class, neither party believes that such placement is appropriate for Student, or that the placement would offer any nonacademic benefit to Student. Thus, Mother’s recommendation that Student should only interact with peers that are ABA-trained, and that his teacher and all personnel working with Student should be also be ABA-trained. The evidence failed to show that District’s general educational setting could meet Student’s unique and present social interaction needs, or that District’s sixth grade general education classroom in his home school would afford Student with any meaningful opportunity for nonacademic or social benefits. Through this hearing, District demonstrated that it does not believe that any student-volunteer IEP program could be implemented appropriately to meet Student’s social skills needs and provided educational benefit, even if it manages to train all of its staff and personnel working with Student in the ABA principle as requested by Mother. The volunteer students could decide not to participate or continue to participate, and District would be faced with implantation problem, it explained. This evidence is persuasive. 91. Accordingly, the totality of the evidence failed to establish that District’s sixth grade general education program at his home school would have provided Student with meaningful social or non-academic benefit. In addition, the evidence showed that Student’s issue with noise impacts his ability to receive educational benefit, academically or otherwise, from an unstructured/uncontrolled regular education environment. District credibly explained that because to complete its assessment of Student, it reasonably relied on all information it had available about Student, and particularly his Mother and his teacher, indicating that Student is not ready to participate in a regular education setting with his non-disabled peers. 92. Regarding the impact that Student’s presence would have on the other students in a general education setting, the evidence showed that Student is used to a structured learning environment, and has received instructions one-to-one for the past couple of years. He has not participated in a group or general education setting since 2010. He is sensitive to noise, and would get overwhelmed and frustrated when instructions are delivered above his ability levels. Student often makes noises to express his disagreement and displeasure, and as such Student could be disruptive on occasions if confronted with tasks that are above his ability. Any withdrawal of his rewards system (token) could also lead to frustration and outbursts, according to Dr. Powers. When Student was last in a public school setting, Student had tried to escape from classrooms when confronted with non-preferred tasks or activities. In addition, the evidence showed that Student could become disruptive in the regular education classroom, and thus have negative impact on teachers and other students, even if Student could have received educational benefits from such placement. Nonetheless, the evidence failed to support that conclusion. 93. No evidence was presented by either party regarding the cost of educating Student in a regular educational class classroom with appropriate services, as compared to the cost of educating the child in the district’s proposed setting. 94. Lastly, and as to the continuation of the home-school program, requested by Mother as an alternative placement for Student, the evidence established that the home-school program is more restrictive and that the District offered placement at Anova. In addition, while some evidence was offered at the hearing that the home-school program provided Student with academic benefits, little evidence was offered by either party to show that the home-school program ever met or would continue to meet Student’s unique socialization needs particularly in the areas of social and group skills. To the contrary, Student only interacted with his sister, his mother and his teacher primarily since Student was last in the public school setting in 2012. All the three were ABA-trained, and Student had no access to learn or practice socialization skills in a natural environment outside of his home-school program instructional setting. According to Ms. Riehle, Student was taken out for any purpose, social or otherwise, only four times in about three years. At the hearing, both Mother and Ms. Riehle appeared to concede that Student’s social skills needs have been neglected at the home-school program, hence their request for Student to be placed in the public school setting, but based on the pre-conceived model of what they believe would be appropriate as discussed above. Other than the home-school program not meeting Student’s ongoing social and group skills needs, continuing Student’s educational placement in the home-school program would be problematic, as Ms. Riehle is not a credentialed special education teacher, and thus is not qualified to provide specialized academic instruction to Student under California law. 95. In this hearing, while the evidence suggests that Student may have continuing need for one-on-one academic instruction as had been done for about three years in the home-school program, the evidence failed to establish that Student could not receive academic benefits with modification, accommodation and supplementary aids and supports, in a small group, small class instructional setting, such a Anova. In fact, District members of the IEP team, and Ms. Isono and Ms. Ogar testified that Anova could meet Student’s educational needs in its small school and small classrooms educational setting. Dr. Powers, Student’s witness, agreed. She indicated that to the extent that Student’s academic instruction is structured and supported, and his social interactions structured, supported and facilitated, Student could receive educational benefit and make academic progress at Anova. Also, despite its lack of typically developing peers, Dr. Powers believe that Anova could provide Student with educational benefit in the area of social skills development as Student would have more opportunity to learn and practice his social skills in a more naturalistic setting and with his peers at Anova. The evidence failed to show that Student would receive meaningful social benefit from his placement in a public school setting in this hearing. 96. Ms. Ogar and Ms. Brown are familiar with Anova. Ms. Ogar believes that an optimal implementation of Student’s speech and language goals would require that Student be with other students, as she believes that Student needs exposure to a wider variety of peers and adults for social skills development. She also believes that given the numbers of goals Student has, the intensity of the services’ needs, and the fact that Student was coming from a home-school program, that it would be difficult to meet Student’s needs in a public school setting. Also, Ms. Brown who had visited the Anova campus in Concord believes that Anova would meet Student’s social and academic needs due to its “very small class sizes” of about six to ten students and about five adults (a teacher and between five to six instructional aides). 97. Andrew Bailey,16 the founder and Executive Director of Anova. Anova is a state certified nonpublic school that specializes primarily in the education of special needs students, primarily those on the autism spectrum. Anova’s student population comprises about 70 percent autistic students, and about 30 percent students with learning disabilities, speech and language impairment, attention deficit hyperactive disorder, and other disabilities. 16 Mr. Bailey has a Master’s degree in Marriage and Family Therapy and is licensed therapist by the State of California. His is also a Board Certified Behavior Analyst. Prior to founding Anova, Mr. Bailey has worked as a one-to-one instructional assistant, a classroom teacher, a marriage and family therapist, and has provided services with special needs student including those with autism, over a period of about 19 years. He oversees and supervises all of the Anova’s three schools. 98. Anova is small school setting with small classes. The middle school program at the Concord campus where Student would have been placed would have between eight to 10 students. As needed by Student, Anova would provide Student with both individual as well as small group instructions. Dr. Jourdan, Dr. Powers, and Ms. Riehle agreed that Anova could be appropriate for Student to the extent that the educational setting is structured and supported. Anova would be able to provide related services and therapies to Student on site, as needed and provided for in his IEP. 99. Anova has a program to address Student’s social group needs. Each of Anova’s teachers and aide are trained in ABA principles, and the school utilizes and have integrated the social thinking (social cognition) principles into its integrated educational program. In the middle school program, the class program addresses needs in the areas of social/emotional behaviors, executive functional needs and organizational skills, thought organization and work completion skills, verbal skills delays, and inappropriate social behaviors, and sensory issues including light and sounds. They have interventions for social thinking/cognition deficits, social language and pragmatics challenges, as well as academic needs. Mr. Bailey disputed the fact that Student would not receive non-academic benefit from the Anova program just because there are no typically developing students at the school. He credibly explained that, because Anova program focuses primarily on students on the autistic spectrum, its integrated academic and social skills program are specifically designed to target and address those deficits that are common to autistic student, including deficits in the areas of social skills, social cognition, as well as pragmatics language deficit. He sees meaningful benefit for Student because the skills being taught and addressed are common to several students, including those students that are similar to Student. 100. Academically, Anova is able to modify its curriculum as needed for their students. Anova implement an integrated program combining its academic program with its social skills program, and serving all of its students primarily in the instructional setting. Student would be able to interact with peers in a classroom environment as skills are taught. After reviewing Student’s goals at the hearing, Mr. Bailey, credibly testified that Student’s IEP goals could be appropriately implemented and his services could be provided at the Anova school site in Concord. The school is able to provide all needed supports, accommodations and modifications to Student. Mr. Bailey explained that based on Student’s Full Scale intelligent quotient of about 112, Student’s performance scores in the Woodcock Johnson test of academic achievement administered by Ms. Riehle in February 2013, and his IEP, Student would be within the range of students currently being served in his middle school program at Anova Concord campus, and that its program would offer Student a FAPE and allow him to receive educational benefit. Anova middle school program would be a good fit for Student, and Students would benefit both academically and socially. Mr. Bailey is found persuasive. 101. In summary, the evidence showed that Student gets overwhelmed with noise due to sensory dis-regulation issues. He was in a home-based program for about three years preceding this disputed IEP offer. Anova offers a small school setting, and a small classroom program in a structured and controlled learning environment of a nonpublic school. As testified to by Mother and Ms. Riehle, Anova school utilizes the ABA principles in its instructional setting and in the delivery of its instruction, and all its staff is trained in ABA principles that have been used with Student in his home-school program in the past years. Socially, Student would have access to same age peers, both with similar and differing needs, strengths and weakness. His social interactions would take place in a more naturalistic environment than in the home-school setting, or even in a setting comprising only of ABA-trained individuals, and such program would take place throughout Student’s school-day and in his classroom setting. The evidence showed that Anova has a program that focuses on both academic as well as nonacademic skills, as needed by this Student. The evidence showed that Student would benefit from the Anova program, and that the program would meet his unique needs. 102. Mr. Bailey explained that before Student is enrolled in its program, Parents must complete its intake process.17 However, Parents did not complete the intake process, and refused to make Student available for the intake assessment process. Following the May 21, 2013 IEP tem meeting, District timely scheduled Mother’s visit to Anova in June 2013, but Mother canceled in the visit and delayed her visit to Anova until July 2013. After the July 2013 visit, Mother informed District that Student would not be enrolling in Anova because Anova does not have typically developing students on its campus. 17 Student’s intake process, according to Mr. Bailey would have included: 1) review of background information about Student (there years backward) including prior IEP’s and assessments’ reports, and Student’s educational file by Anova; 2) parents’ visit to its campus and interviews regarding their concerns and Student’s needs; 3) Student’s visits and interview; 4) trial placement of Student in a program/class with peers to collect information about Student’s functional skills and performance, and overall fit in the program, as needed; and 5) intake assessment, as needed. Based, on the above, Anova would determine if Student’s FAPE offer could be implemented or otherwise at their school. 104. A school district has predetermined its IEP offer when it has decided the offer prior to the IEP meeting, including when it presents one placement option at the meeting and is unwilling to consider other alternatives. A district may not arrive at an IEP meeting with a “take it or leave it” offer. 105. The evidence showed that Parents and Student’s sister, and teacher meaningfully participated in the development of Student’s triennial IEP dated April 24, 2013 and May 21, 2013. Student’s Parents and teacher provided input, and presented information and written reports regarding Student’s present levels of performance, unique needs, placement and services’ needs, and needs for support, modification and accommodation. District relied on all information provided, including those from Student’s Parents and teacher, from the assessors, as well as those gleaned from a review of Student educational records and past assessments’ record. 106. In addition, while Parents alleged predetermination, the evidence established that all of Student’s IEP team members participated, and were able to express their opinions and recommendations. District used many of the IEP team members’ input and recommendations to develop goals, determine services, and offer supplementary aids and supports for Student. Therefore, the mere fact that District did not offer the placement Student’s Parents or some IEP team members wanted does not mean that District predetermined Student’s placement. Thus, overall, the evidence failed to show that Student’s placement or services offer were predetermined, or that District failed to consider the recommendations of Student’s IEP team members who had knowledge of Student at the April 24, 2013 and May 21, 2013 IEP team meetings. 107. A reassessment requires parental consent or OAH’s order. Generally, to obtain consent, a school district must develop and propose a written assessment plan and include the notice of the procedural safeguards. If the parents do not consent to the plan, the district can conduct the reassessment only by showing at a due process hearing that it needs to reassess the student and is lawfully entitled to do so. 108. As discussed and established above, District initially sought to enforce its right to assess Student pursuant to settlement agreement, but its case brought before OAH was dismissed on jurisdictional grounds when OAH concluded that District’s case (dismissed) did not raise a FAPE issue.18 Thus herein, District is seeking OAH’s order to conduct its psychoeducational and behavior assessments of Student pursuant to its assessment plan dated November 15, 2012. Student’s case has invoked a FAPE issues, and thus both parties agree that OAH should enforce the settlement agreement regarding the disputed assessments. Therefore, whether through its assessment plan, or according to the settlement agreement, the evidence showed that District has right to complete its triennial psychoeducational and behavior assessments of Student. Because the settlement agreement, provided that no other assessment plan shall be required in order to conduct the triennial assessments, no parental consent is needed for District to complete the psychoeducational and behavior assessments of Student. 18 See OAH Case No. 2013030286. 19 The Northern California Diagnostic Center is run by the California Department of Education. 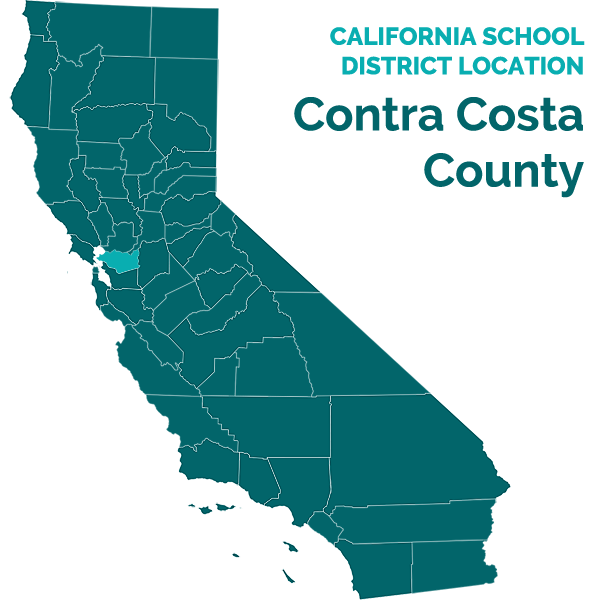 Its services are offered exclusively to California school districts and local offices of education when referral is made to the center by such entities. 109. In this case, Parents have not permitted District to complete its psychoeducational and behavior assessments of Student, and have not otherwise made Student available for the assessments. At the hearing, Parents’ argument was that she would have permitted the two assessments had it not been for the District’s unwillingness to accommodate her request to observe the assessments. At the hearing, Mother testified that she wanted to observe the assessment “in order to ensure the integrity of the assessments’ results.” She offered several witnesses who testified that they have allowed Parents to observe (see and hear) assessments as they are being administered. Ms. Isono and Ms. Ogar admitted that they have permitted such practices and even allowed Mother to be present during their triennial assessments of Student in the areas of OT, and speech and language, respectively. In addition, the Director of Northern California Diagnostic Center in Fremont19 also testified in the affirmative. At her center, they permit Parents to observe, hear and see the assessment. Despite these series of testimonies, Student failed, and the evidence failed, to establish District violated any law or a legal obligation to either Student or Parents by refusing to allow Mother the ability to observe District’s assessment of Student. Student failed to provide any authority to support or establish a substantive or procedural violation on this matter. 110. District offered to Mother that she could observe (see and not hear) the assessment of Student at its Cameron School. Parents declined that offer, and essentially indicated, through several email and regular mail communications with District, that she would not continue with the scheduling of Student’s assessment unless her request is accommodated. This decision by Mother essentially guaranteed that District would not be able assess Student, as Parents have refused to consent to the psychoeducational and behavior assessments of Student. To the extent that Parents have consented to the assessment through the settlement agreement, such consent has been revoked. 111. District established that it denied Parents’ request to observe the assessment due to its concerns about test validity and integrity, its long-standing policy and procedures for assessments, and overall concern that the testing environment would be altered by mother’s presence, which may then affect the validity of its assessments results. District demonstrated, through the testimony of its SELPA Director, Mr. Collins, and its Director of Special Education, Ms. Anderson that, except in few instances, its policy of not allowing parents into the assessment room has been consistently enforced for 18 to 20 years. In those limited instances, the unique needs of the students are determinative. Thus, District has allowed parents in the assessment room in cases involving very young children who may not be used to being with other adults, or whose parents may be needed in order for the assessment to be properly conducted. It has also allowed parents to be present where safety of the assessor or the child is a concern. District established that Student does not fall within any exception. 112. While Student successfully established that some assessors do allow parents to hear and see the assessment, Student failed to establish that District’s position, policy and practices are either unreasonable or unlawful. In addition, Parents’ motivation for wanting to observe the assessments is questionable. These two parties have been in dispute, at least since 2010, and definitely, there are other ways Mother could evaluate the appropriateness of the assessments, if she consider them invalid. For example, Parents may disagree with the assessment result, and request independent evaluations for Student after the assessment were completed. Mother was made aware of these rights through the notice of rights provided to Parents with the assessments plans. Also, Mr. Collins, in a letter dated February 11, 2013 to Parents advised Parents of these rights. 113. Therefore, based on the totality of the evidence, the evidence failed to establish that District is either legally obligated to allow Parents to observe District’s assessments of Student, or that District denied Student a FAPE as a result of District’s denial of Mother’s request to observe the assessment. The evidence showed that District’s failure to complete Student’s psychoeducational and behavior assessment of Student was caused by Parents’ interference and denial consent.20 The request by Mother, to be allowed to observe the assessment, constituted conditions and/or restrictions on District’s assessment of Student, and which District is not obligated to accept. Parents may not impose those conditions or restrictions on Districts’ assessment of Student. 20 Mother allowed Dr. Jourdan to observe Student at home on two occasions as part of her psychoeducational and behavior assessment of Student. 114. District is entitled to complete its psychoeducational and behavior assessments of Student pursuant to the settlement agreement and/or its November 15, 2012 assessment plan without condition or restriction and without parental consent. The District is not obligated to provide any accommodations, including parental right to observe the testing. 115. As established above, Student’s triennial psychoeducational and behavior assessments were never completed because Parents did not consent to the November 15, 2012 assessment plan, or otherwise agree to make Student available for the assessments pursuant to the terms of the May 25, 2010 settlement agreement between the parties. Nonetheless, District demonstrated that it obtained useful, relevant and accurate information regarding Student’s OT needs, speech and language needs, social communication and pragmatic language needs in developing his triennial IEP. Its reliance on the information provided by Ms. Riehle regarding Student’s levels of performance in the academic area is both proper and reasonable. As required by law, it relied on a variety of information and sources in developing relevant information about Student present levels of performance and unique needs. Some of the information District relied upon included Parents’ and teacher’s reports and recommendations, current and past assessments’ results, Student educational record including his last IEP, results of several observations of Student, interview of those working with Student, as well as rating scales submitted by those working with Student. The evidence showed that District reviewed all available information on the Student, and obtained relevant information about Student’s present levels of performance in order to develop an IEP that is reasonably calculated to provide educational benefit to Student, and thus provides him with a FAPE. A review of the available information enabled District to identify all areas of needs for Student and develop goals. Accommodations, modifications, and supplementary aids and services were offered to address and meet all areas of needs identified. 116. The evidence showed that Mother provided District with the data regarding Student’s home-school program, as well as his academic and social needs and performance. The evidence showed that the baseline information used to develop Student academic (reading, math, and comprehension) goals came essentially from the information provided by Student’s Mother and his teacher who have been in charge of Student’s education since at least 2010, and that District reasonably relied on the date and information provided by Student’s mother and teacher in developing Student’s IEP goals. By reasonably relying on the data Parents produced, District met its burden to draft an IEP that was reasonably calculated to provide educational benefit to Student. The totality of the evidence showed that District made a good faith effort to collect data that Mother either did not provide, or Mother did not give the necessary consent for District to acquire, or that Mother provided that may be inaccurate. 117. Therefore, as discussed above, the evidence showed that the baseline information relied upon by District was accurate and reflective of Student’s levels of functioning in all areas for which goals were developed. In addition, even if Student could argue that the baselines for the academic goals are either inaccurate or inadequately helpful, the evidence showed that District independently attempted, but was prevented by Mother, from completing its psychoeducational assessment of Student, and thus was prevented from obtaining the baseline data it would have needed to develop more accurate baseline data regarding Student’s academic goal. Mother’s action directly impeded District’s efforts to timely and appropriately develop Student’s IEP and goal. Therefore, it is difficult to blame District for the very failure to collect or have such data. In other word, the evidence failed to support a conclusion that District denied Student a FAPE based on these facts. 118. District’s development of Student’s IEP without the assessment data it sought was “reasonably appropriate,” in light of Mother’s refusal to consent to the assessment plan. Student failed to show that Mother’s refusal to provide District with the requisite consent to assess Student in the areas of psychoeducational and behavior is reasonable or justified. Accordingly, a denial of FAPE is not found on the part of District regarding any failure to have or write accurate data regarding Student’s 21 academic goals. 1. Under Schaffer v. Weast (2005) 546 U.S. 49 [126 S.Ct. 528], the party who files the request for hearing has the burden of persuasion at the due process hearing. Both parties filed their respective requests for due process hearings, and therefore each party has their respective burden of persuasion in these consolidated matters. Is the District entitled to complete its triennial psychoeducational assessment and behavior assessment of Student absent parental consent and without parentally imposed conditions or restrictions? 5. Based on Factual Findings five through 13 and 107 through 114, and Legal Conclusions 2 through 4, District met its burden on this issue. The evidence established that Parents inappropriately refused to allow District to complete its triennial assessments of Student, as Mother has not signed the assessment plan furnished by District to Mother on or around November 15, 2012. The evidence showed that Mother’s request to observe the assessments amounts to imposition of improper conditions or restrictions on the assessments, and to which District has no obligation to accept or accommodate. Thus, Mother had improperly prevented District to fulfill its obligations to Student — to assess Student, and to ultimately make a FAPE offer to Student, among other obligations that District has towards Student. Therefore, District shall be allowed to conduct it assessments of Student in all areas of suspected disability, and in accordance with its assessments plan dated November 15, 2012. Was District’s February 11, 2013 triennial speech and language assessment of Student appropriate such that Student is not entitled to an independent evaluation at public expense? 8. Based on Factual Findings 13 through 35, and Legal Conclusions two through 7, Student failed to meet his burden on this issue. The issue in this case is whether Ms. Ogar’s triennial speech and language assessment was appropriate. District demonstrated by a preponderance of the evidence that Ms. Ogar’s speech and language assessment of Student appropriately assessed all known and suspected areas of needs relating to Student’s functioning in the area of speech and language. The assessments adequately evaluated student’s functioning in the areas of social and pragmatics language, expressive, receptive, morphology, vocabulary development and well as his all-around oral language skills. Ms. Ogar is a qualified assessor who had performed hundreds of assessments using the same or similar instruments that she administered to Student. She used a variety of assessment instruments to assess Student, utilizing instruments for purposes for which they were valid and reliable. No single measure was relied upon solely by Ms. Ogar. Her assessment was not racially or culturally biased, and her assessment resulted in comprehensive written reports that included discussions of her observations, interviews, and the administration of several test to Student. The report included relevant assessment results, consideration of Student’s needs, and reasoned recommendations regarding needs and services. The assessments were discussed with Parents at IEP team meetings on April 24, 2013 and May 21, 2013, as required by law. Thus, the evidence established that District’s speech and language assessment of Student was appropriate. Therefore, Student is not entitled to an independent evaluation at public expense in the area of speech and language because District demonstrated that its speech and language assessment was appropriate. Is Student entitled to an independent evaluation in the area of social skills at public expense where Parents had not permitted District to complete its proposed assessment in this area? 9. Based on Factual Findings five through 35 and 107 through 114, and Legal Conclusions two through 7, Student is not entitled to an independent evaluation at public expense in the area of social skills as District has not completed its evaluation of Student in the area of social skill as Parents have withheld consent for District assessments of Student. Accordingly, because there is not a District’s social skills assessment that Student disagreed with, Student is not entitled to an independent evaluation at public expense in the area of social skills at this time. In addition, to the extent that Parents wishes to challenge Ms. Ogar’s evaluation of certain components of Student’s social language, pragmatics and/or social skills functioning, Ms. Ogar appropriately assessed all areas relating to Student’s speech and language functioning. Thus, Student is not entitled to an independent evaluation at public expense in those areas assessed by Ms. Ogar. Did District deny Student a FAPE by failing to write measurable present levels of performance in the areas of social skills, group skills, reading and math, and speech and language in Student’s triennial IEP dated April 24, 2013 and May 21, 2013? Did District deny Student a FAPE by failing to develop appropriate goals in the areas of social skills, group skills, reading and math, and speech and language in Student’s triennial IEP dated April 24, 2013 and May 21, 2013? 18. Pursuant to Factual Findings five through 79 and 115 through 118, and Legal Conclusions two through eight and 10 through 14, the law does not require that baselines or present levels of performance be measurable. Rather, the law requires that the IEP must include a statement of measurable annual goals and objectives that are based upon Student’s present levels of academic achievement and functional performance, and a description of how the child’s progress toward meeting the annual goals will be measured. Student failed to meet his burden on the above issues and the evidence failed to support a denial of FAPE based on these contentions. The evidence showed that Student’s annual goals are measurable and appropriate, and stem from accurate baseline data developed through assessments, progress reports from Student’s teacher and Mother, and Student’s education record. The goals targeted areas of needs in Student and are appropriate to meet those needs. 19. His academic goals appropriately targeted Student’s areas of needs in math and reading, and were based on the current assessment data. Nonetheless, as found above, it is established that District has a duty to gather and collect needed baseline data about Student, and District attempted to do just that, but was prevented by Mother from completing its assessment of Student in the area of academics pursuant to Factual Findings 115 through 118. Therefore, the totality of the evidence failed to establish a denial of FAPE by District regarding any failure to include additional present levels of performance information in the IEP, or regarding any arguably resultant inadequacy of the academic goals. As found herein earlier, holding District responsible for the failure to gather assessment/baseline data, it needed to write accurate baselines and measurable goals, and thus develop its FAPE offer to Student, is both improper and inequitable. Parents have refused to consent to the assessment, and thus improperly prevented District from collecting the needed baseline data. Accordingly, the evidence failed to establish a denial of FAPE by District as a result of these goals, or the baseline information included with the goals. Did District deny Student a FAPE in the least restrictive environment because District predetermined Student’s placement and failed to consider the recommendations of Student’s IEP team members who had knowledge of Student at the April 24, 2013 and May 21, 2013 IEP team meetings? 20. Parents alleged that District predetermined its IEP offer because District failed to consider the recommendations of Student’s IEP team members who had knowledge of Student. Pursuant to Factual Findings 36 through 57 and 104 through 106, and Legal Conclusions 17, Student failed to meet his burden on this issue. As discussed above, District established that it complied with the procedures set forth in the IDEA, particularly relating to the opportunity of Parents to fully and meaningfully participate in the development of Student’s IEP’s team meeting held on April 24, 2013 and May 21, 2013. The evidence showed that District provided Parents with timely and proper legal notice for the IEP team meetings in order to give her enough time to prepare or invite people. Parents were able to reschedule the May 21, 2013 meeting, which District initially scheduled for May 9, 2013 due to conflicts. Mother attended the two IEP meetings, and was able to ask questions, raise issues, discuss goals and object to the proposed placement and services. Mother and Student’s teachers presented documents and information from Student’s home-school program, and presented their progress and ABA reports, respectively. Student’s home-school program teacher prepared and provided to the IEP team a multi-page written recommendation regarding Student placement, services, and accommodations and modifications needs. The team was able to discuss various issues relating to Student, his disability and educational needs based on input provided by Parent. Therefore, the evidence showed that Parents were able to participate in the April 24, 2013 and the May 21, 2013 IEP team meetings. 21 Student’s sister was present at the May 21, 2013 IEP team meeting. 21. The evidence showed that District received and evaluated reports and recommendations from Mother, Student’s teacher, and Student’s sister.21 Both the IEP document and the IEP meeting notes, and testimony of several witnesses at the hearing established that Parents and Student’s teachers played a significant role in the development of Student’s IEP. Both Mother and Student’s teacher presented their reports about Student, each made recommendations regarding Student’s educational needs, placement, services and needs for support and accommodations. The baselines used to develop Student’s academic goals essentially came from the information provided by his teacher. Other than Parents and Student’s teacher, the evidence showed that Ms. Ogar and Ms. Isono, who had assessed Student just before the IEP, presented their assessments reports to the IEP team, and each made valuable contribution to the development of Student’s triennial IEP. Therefore, Student failed to meet his burden on this issue. The evidence failed to establish that District failed to consider the recommendations of Student’s IEP team members who had knowledge of Student at the April 24, 2013 and May 21, 2013 IEP team meetings, or that District predetermined Student’s placement. Did District deny Student a FAPE by failing to offer Student placement in the least restrictive environment during the April 24, 2013 and May 21, 2013 IEPs? 22. Pursuant to Factual Findings 13 through 71 and 80 through 103, and Legal Conclusions 10 through 17, Student failed to meet his burden on this issue. Here, Parents have argued that District’s offer of Anova is not the least restrictive environment for Student because there are no typically developing students at Anova, as Anova only serves special needs students. Student’s contentions are not supported by the evidence. Based on the totality of the evidence, Student was appropriately removed from the regular education setting due to his unique needs and deficit, and inability to currently benefit from the regular education environment, either anemically or socially at this time. The evidence established that Anova is both an appropriate placement for Student, and the least restrictive environment for Student. Anova is a program where Student could and would make academic progress and develop group and social skills. His 26 goals could be appropriately implemented at Anova, whereas, District was unsure that Student’s many goals could be appropriately supported in a general education setting, or on a public school campus. Student failed to meet his burden of showing that the District failed to offer him placement in the least restrictive environment. District persuasively explained in this hearing that, because it had not had Student in its schools for about three years, Student’s transition from his home-school environment to a public school setting would be difficult if not impossible. District placed Student at Anova as a mere transition placement, and Student’s IEP is subject to review and ongoing evaluation in order to determine if Student could benefits for additional mainstreaming opportunities, including change of placement. The evidence showed that Student’s goals and services could be appropriately implemented at Anova, and that Student could receive educational benefit at Anova. Did District deny Student a FAPE by failing to complete the assessments it agreed to in the settlement agreement signed by the parties in May 2010? 23. Based on Factual Findings five through 12 and 107 through 114, Legal Conclusions two through four, Student failed to meet his burden on this issue. The evidence failed to show that District failed, or inappropriately failed to complete its psychoeducational and behavior assessments of Student. To the contrary, the evidence showed that Parents prevented Student from completing the assessments because Parents would not consent to, or otherwise agree to make Student available for the assessments without the parentally placed condition that Mother should be allowed to observe the assessment. Therefore, Student was denied a FAPE because the psychoeducational and behavior assessments were not completed by District. 24. To the extent that Student contends that some of the academic goals are not appropriate either due to the fact that Student’s psychoeducational assessment was not completed, or because the Woodcock Johnson assessment and other baseline information provided by Mother and Ms. Riehle to the IEP team were not reliable, District could not be found to have denied Student a FAPE on these grounds. As already discussed above, District appropriately and reasonably relied on the information it received for Student’s Mother and teacher in developing the IEP. In addition, because Parents improperly prevented District from completing its psychoeducational and academic assessment of Student, and thus ensuring that District would have to rely only on available information, a denial of FAPE is not found. 25. The courts have noted that the IDEA assumes that parents, as well as districts, will cooperate in the IEP process. (Shaffer v. Weast, supra, 546 U.S. at p. 53 [noting that “[t]he core of the [IDEA] … is the cooperative process that it establishes between parents and schools”, and describing the “significant role” that “[p]arents and guardians play … in the IEP process”]; see also, John M. v. Board of Educ. of Evanston Tp. High School Dist. (7th Cir. 2007) 502 F.3d 708, 711, fn. 2; Patricia P. v. Bd. of Educ. of Oak Park (7th Cir. 2000) 203 F.3d 462, 486; Clyde K. v. Puyallup School Dist., No. 3 (9th Cir. 1994) 35 F.3d 1396, 1400, fn. 5[rejecting a “my way or the highway” approach by parents’ attorney].) Furthermore, courts have held that parents who refuse to cooperate in a district’s efforts to formulate an IEP are, in some circumstances, not entitled to remedy. (See, e.g., Loren F. v. Atlanta Indep. Sch. Sys. (11th Cir.2003) 349 F.3d 1309, 1312; MM v. Sch. Dist. of Greenville Cty. (4th Cir.2002) 303 F.3d 523, 535; M.S. v. Mullica Tp. Bd. of Educ. (D.N.J. 2007) 485 F.Supp.2d 555, 568 [denying reimbursement because parents failed to cooperate in completion of IEP]) Finally, when parental non-cooperation obstructs the IEP process, courts usually hold that procedural violations in that process do not deny the student a FAPE. In C.G. v. Five Town Community School Dist. (1st Cir. 2008) 513 F.3d 279, for example, the Court of Appeals held that an IEP was incomplete only because of parents’ obstruction of the IEP process, and if parents had cooperated, the IEP would have been adequate. In these matters, Parents’ refused to provide consent for District’s assessments established parental-noncooperation. 26. Therefore, based on the forgoing discussion and the totality of the evidence, the evidence failed to establish that any of Student’s goals is inappropriate, or that District denied Student a FAPE due the in inappropriateness of a goal. 1. All of Student’s requests are denied. 2. All of District’s requests are granted. 3. Within 30 days of this order, Parents shall make Student available for the psychoeducational assessment and behavior assessment of Student pursuant to the May 2010 settlement agreement or the November 15, 2012 assessment plan. District shall contact Mother within five days of the receipt of this order to obtain mutually convenient dates and time for the assessments. 4. District shall complete its assessments of Student ordered herein and hold and IEP team meeting within 60 days of this order. 5. At the IEP ordered herein above, District shall review the results of the assessments, and make all appropriate revisions to Student’s IEP, including placement and services. Parents are encouraged to invite Dr. Powers to the IEP in order to discuss the results of her July 2013 VB-MAPP assessment of Student. 22 Nothing in this order relieves District of its child find obligation under IDEA, or prevents the parties from agreeing to implement Student’s triennial IEP’s dated April 24 and May 21, 2013. Education Code section 56507, subdivision (d), requires that the hearing decision indicate the extent to which each party has prevailed on each issue heard and decided. Student did not prevail on any issue. District prevailed on its three issues presented though it’s two due process filings. Therefore, District prevailed on all issues heard and decided.